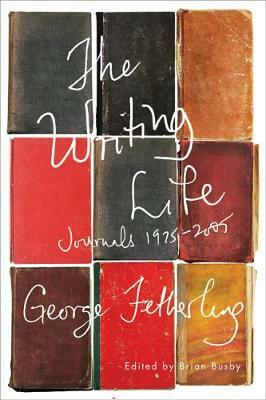 Selected from thousands of pages of the daily journals of George Fetherling - the inexhaustible novelist, poet, and cultural commentator - The Writing Life reveals an astute and candid observer of his contemporaries as well as himself. Hundreds of figures in the arts and public life crisscross the pages of Fetherling's journals, from Margaret Atwood and Marshall McLuhan, to Gwendolyn MacEwen and Conrad Black. The book begins in mid-1970s Toronto, a time of cultural ferment, and carries on to Vancouver and a new century. A captivating and intimate narrative, The Writing Life provides a compelling portrait of the last three decades of Canadian cultural life. From the book: Tuesday 4 February 1992 / Toronto Early this morning the latest in a series of strange phone calls from Edmund Carpenter in New York to discuss successive versions of his Canadian Notes & Queries piece on Marshall McLuhan. He falls to reminiscing and at one point says: "Marshall always reminded me of that passage in Boswell in which Boswell says that if you chanced to take shelter from a rain storm for a few minutes in Dr Johnson's company, you would come away convinced that you had just met the smartest man in the world. Marshall was like that too. Of course, if you spent an hour with Marshall, well, that was something quite different."